At first glance I wondered why Sue Grafton’s latest mystery, “W is for Wasted,” was such a thick book. Fearing she’d stepped into the novelists’ trap of thinking more is better, it didn’t take long to realize that “W” is a bloated mess. The main positive about the novel is that it gives a multifaceted examination of homelessness in Santa Teresa, the beach town that Kinsey calls home. Along with following Kinsey’s usual modus operandi of solving a murder, in this case, that of a homeless man named Terrence, Grafton unfortunately throws in many ridiculous side stories that are — to put it politely — a stretch. They not only tested my patience, but should also have also tested Kinsey’s who, in the past, wouldn’t have tolerated such nonsense. For instance both she and Henry, her landlord, who have worked as a unique team in 22 preceding books, were often out of character. An example of bloat and lack of editing is when Henry invites one of Kinsey’s antagonist– an annoying, manipulative and poorly conceived character who is a young relative of Terrence, the dead man– to live with him. By then, I was struggling to finish the book and in the end, even as Grafton swung back to a realistic plot, I didn’t care anymore if justice was served. 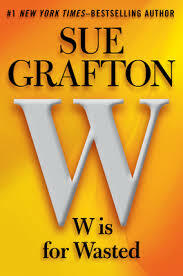 Maybe Sue Grafton is having withdrawal pangs now that “W” brings her so close to the end of her ABC mystery series. I understand because I’ve also been dreading the end, but if the XY or Z mysteries are at all like the wasted “W,” that will be a shame because W is by far her worst book to date.